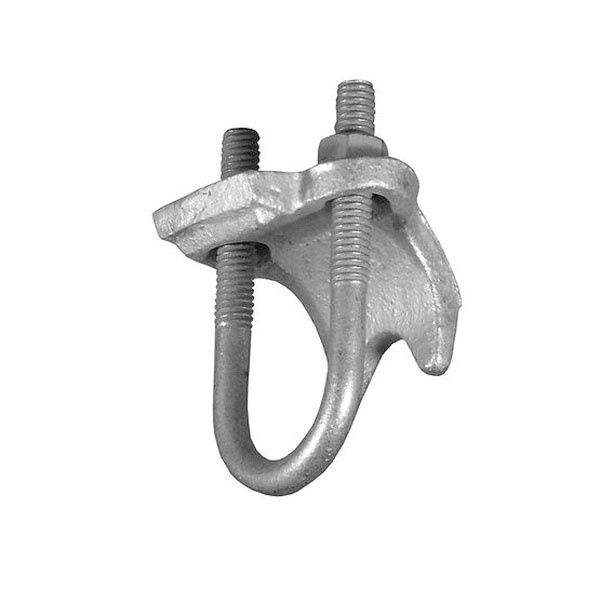 Appleton OZ Gedney Right angle conduit clamp in hot dip galvanized finish, has malleable iron construction for added durability. This 3/4-Inch clamp withstands heavy loads. It is designed to secure rigid metal conduit, IMC or EMT across, parallel or perpendicular to the beam, channel and angle supports. The conduit clamp meets CSA C22.2 No. 18.4 and CSA 065178 standards.